The Undergraduate Fine Art and Design and MA Conservation Summer Shows started on Saturday 18 June. Tonight, Monday 20 June the shows have their Private View at Camberwell, followed by a week of the show being open to the public. 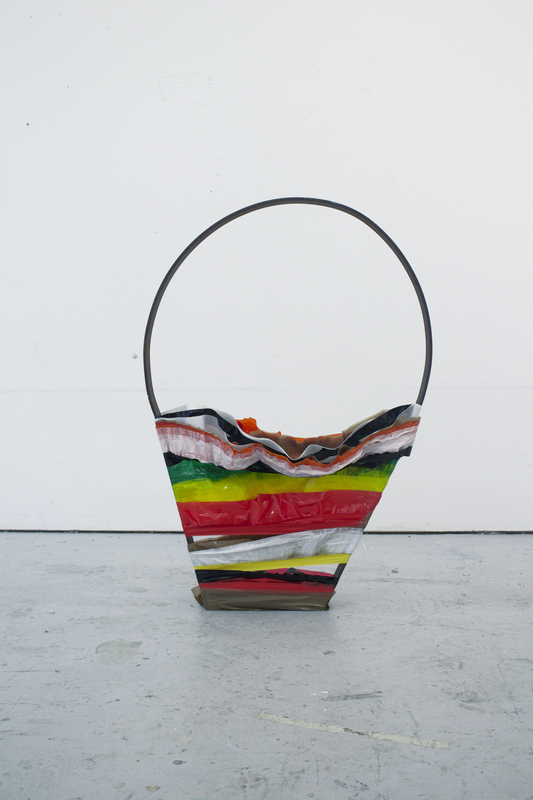 To start off the first full week we spoke with third year BA Painting student Thomas Grieg. Thomas Greig is a BA Fine Art Painting student who has been selected for Bloomberg New Contemporaries 2016. The panel selected two wall pieces from a body of work that have used tape and other packaging materials as its medium. Thomas’s use of these packaging materials has come from a desire to quickly transform and distort an object, wrapping and re-wrapping to form a layer of skin, concealing objects that he has a connection to. This can range from anything from bikes to small bottles, or even the contents of his pockets on the day. Recycling and time play a relevant part in Thomas’ practice. Having objects littered around his studio; works may be started and then left, even completed six months later. 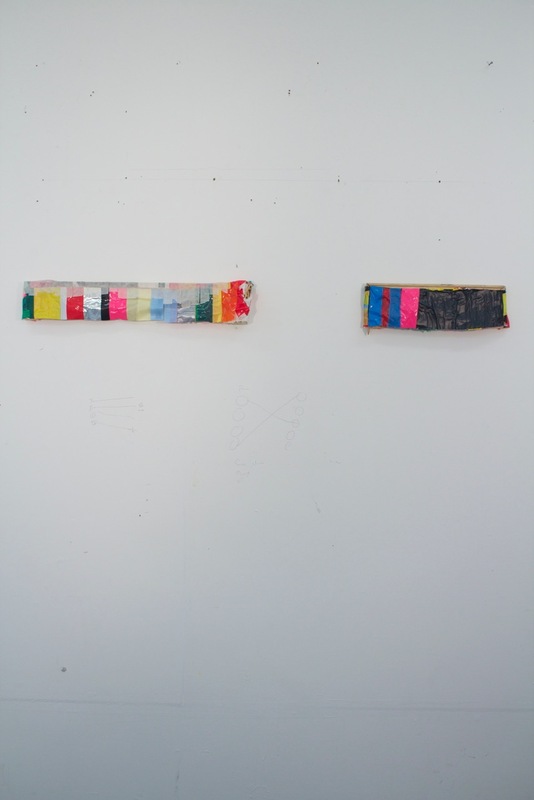 In Thomas’ Summer Show, all of the works have been recycled in some way; ‘Layabouts’ are tape paintings that have a relationship with the pieces involved in New Contemporaries, for they are the off-cuts. It took Thomas six months being in the presence of these objects to give them a different energy and purpose. 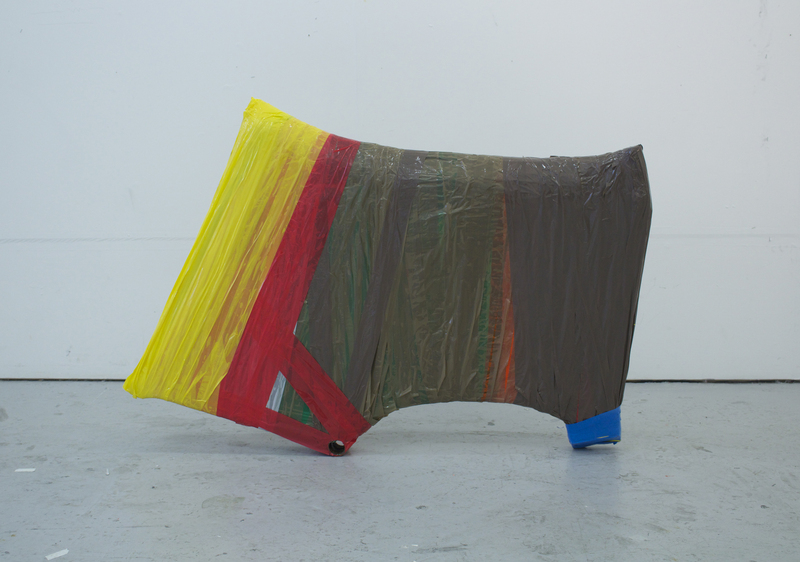 Thomas also is displaying a sculpture in the Summer Show, a bike that is wrapped in black stretch film then secured to trestle legs, another form of recycling. Losing their original functions, Thomas has transformed them, forcing them together to form a peculiar relationship. 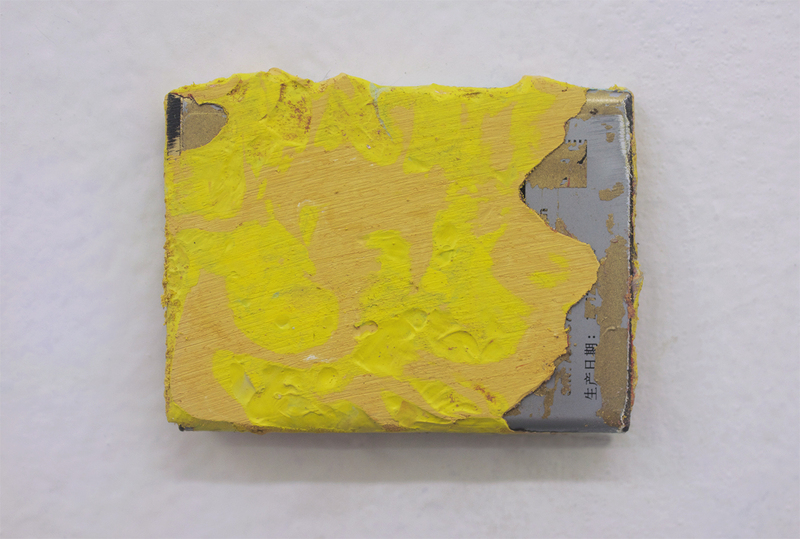 “I am also exhibiting three paintings – made using other peoples paint from around the studio to conceal old phone batteries, they were created in-between other works but now, their importance becomes realised”. You can see Thomas’ work at the Summer Show this week and keep an eye out for him at New Contemporaries this year!